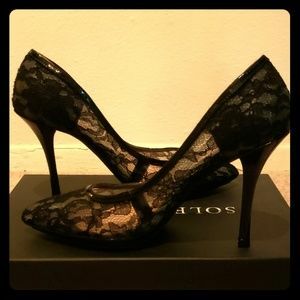 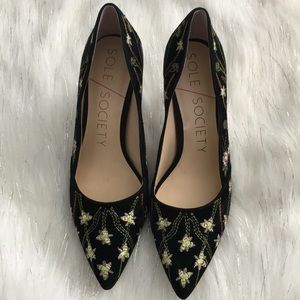 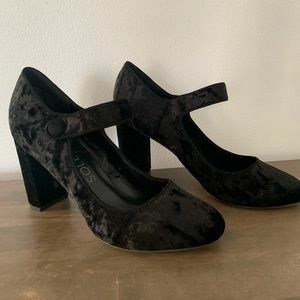 New Sole Society 7.5 Black Crushed Velvet Pump. 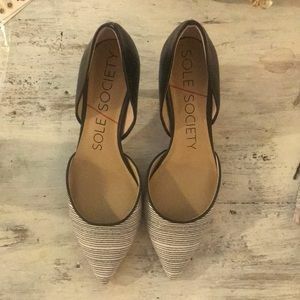 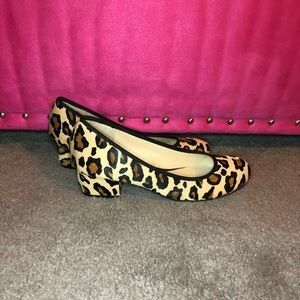 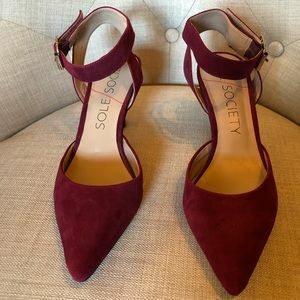 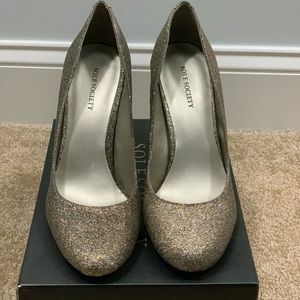 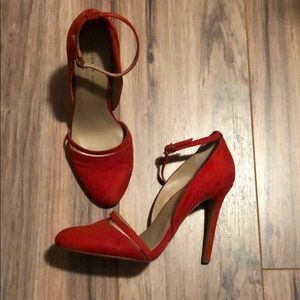 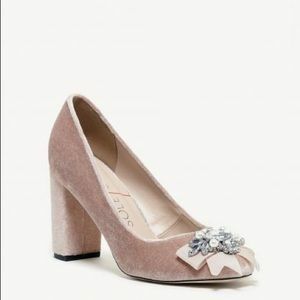 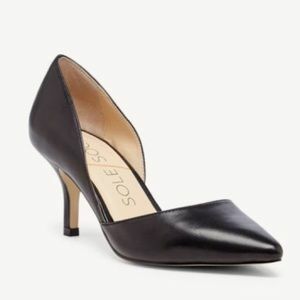 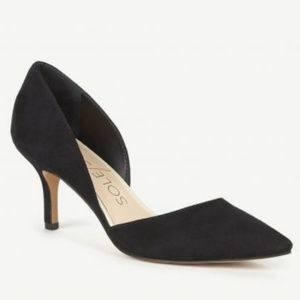 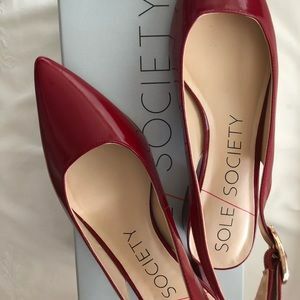 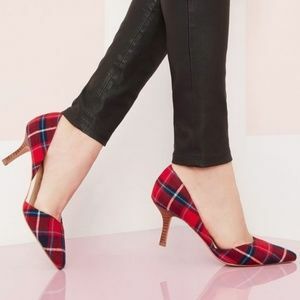 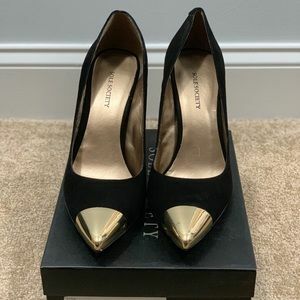 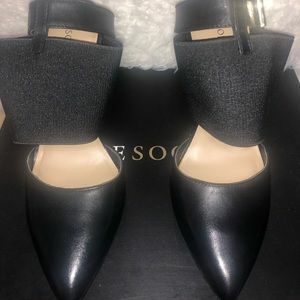 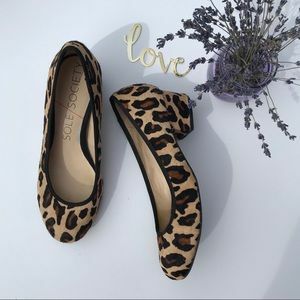 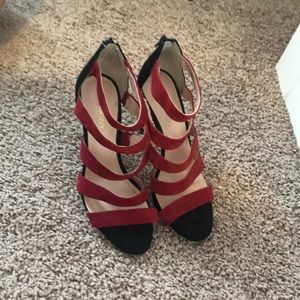 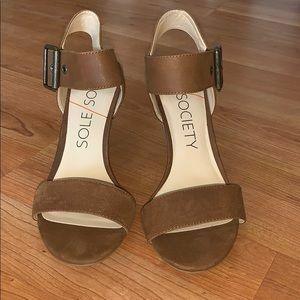 Sole society heels. 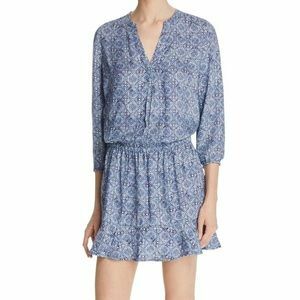 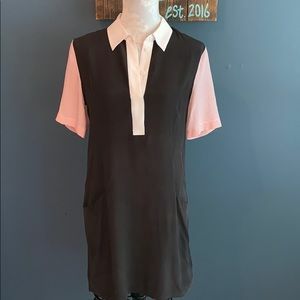 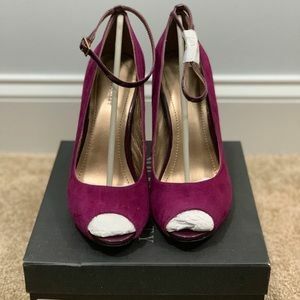 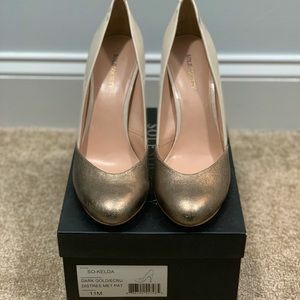 Brand new never worn!! 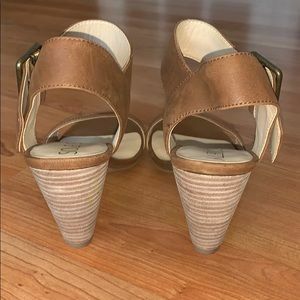 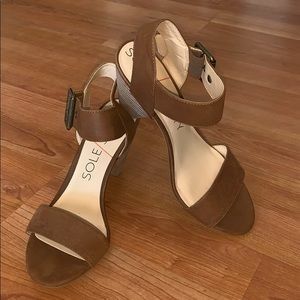 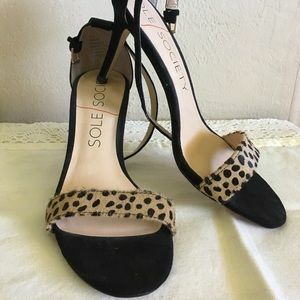 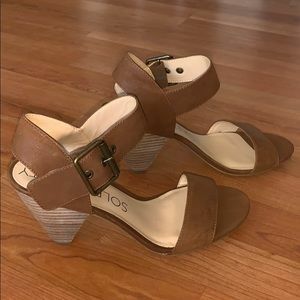 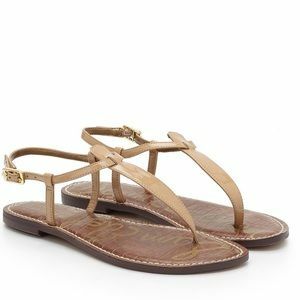 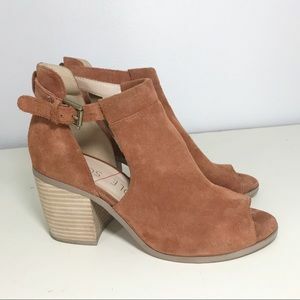 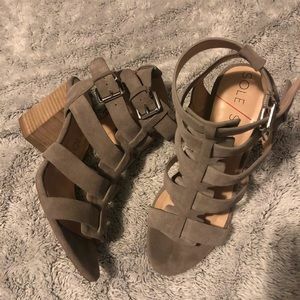 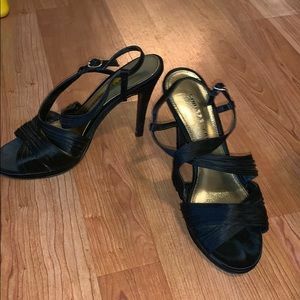 Excellent condition Sole Society heeled sandals DETAILS & CARE A quarter-strap design and woodgrain cone heel take center stage on a groovy summer sandal with plenty of '70s attitude. 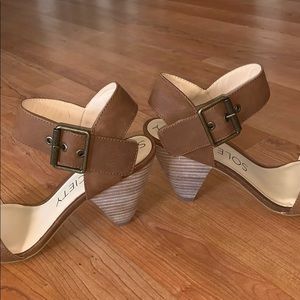 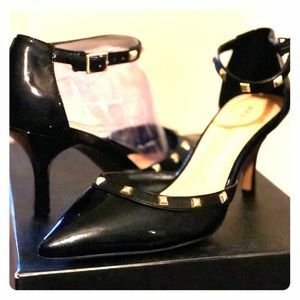 3 1/2" heel (size 6) Adjustable strap with buckle closure. 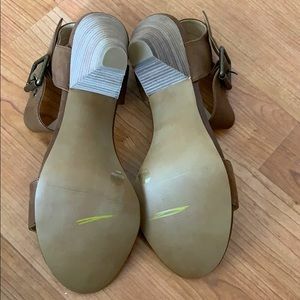 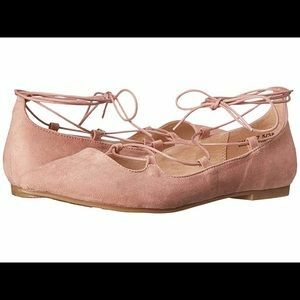 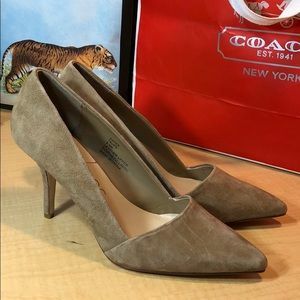 Leather upper/synthetic lining and sole.